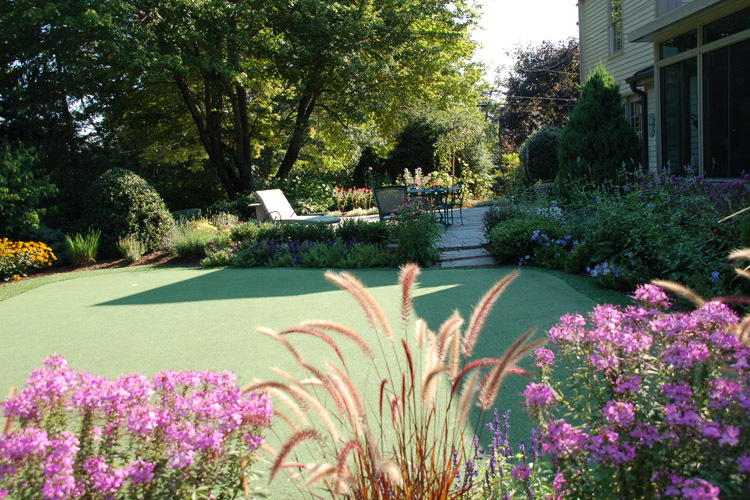 Adequate depth and quality of soil are crucial to the health and survival of your lawn. 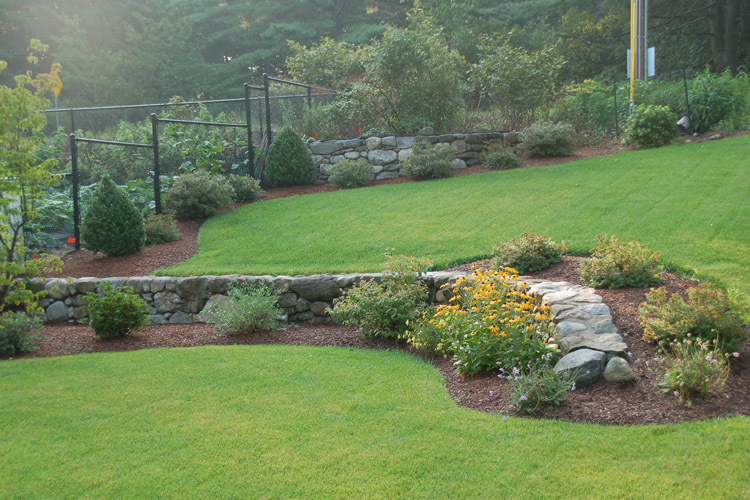 As with other aspects of landscape construction, building a lasting lawn requires a good foundation. Once drainage issues are addressed, adequate depth and quality of soil are crucial to the health and survival of your lawn. 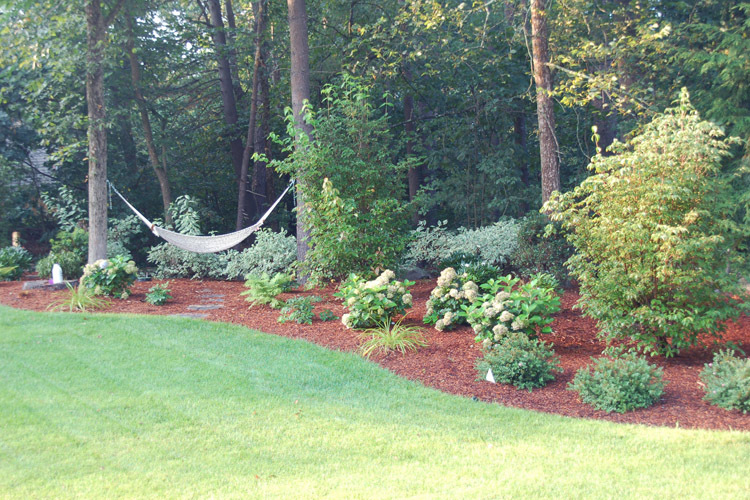 We prepare our lawn areas with at least 6" of good soil before we finish rake the area. Depending on the time of year, the budget, the location and the intended use of your area, you may choose to install a Sod Lawn, Hydroseed lawn, or Grass Seed and Fertilizer. Seed is the least costly option, but it takes longer for the seed to germinate and become established, thus putting it at greater risk for damage by the weather. The pulp matrix of Hydroseed retains moisture and helps Hydroseed germinate more quickly, thereby reducing the amount of time the seed is at risk of being washed away by rain or damaged by extreme temperatures. 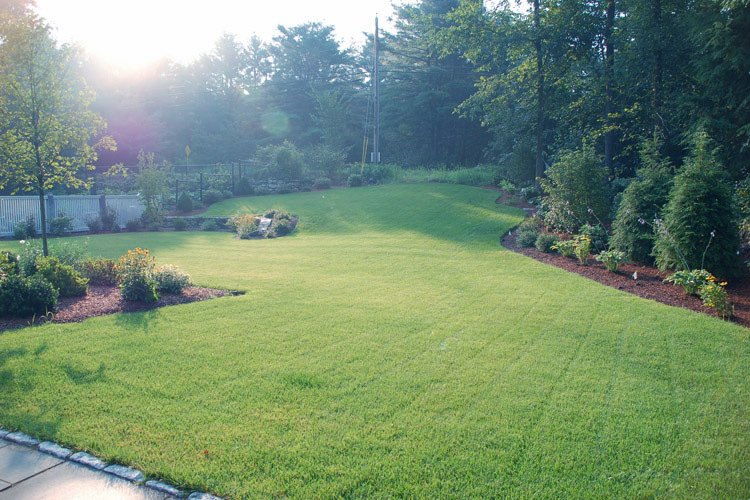 Sod Lawns are most reliable and can be installed throughout the season, whereas Seed and Hydroseed Lawns are best planted in spring or early fall. A fully automated lawn irrigation system is your lawn's best chance to get adequate water, and a rain sensor will ensure that your irrigation system doesn’t give your lawn too much water. We can make sure you get the system that gives your lawn the amount of water it needs to thrive.